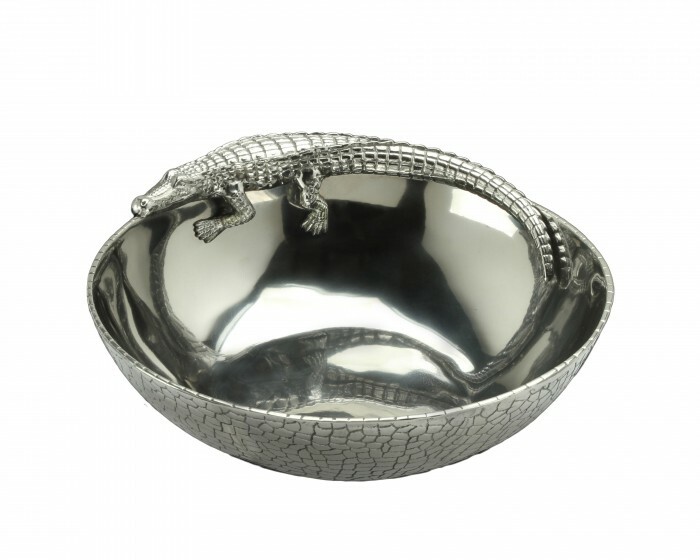 Make your serveware shine again with the 12" Alligator Figural Bowl from Arthur Court. A finely detailed alligator walks around the rim of this piece, while its tail extends into the handmade, aluminum bowl. The exterior of this piece tales on the reptile's scaly texture, while the interior gleams with a smooth finish. Size: Diameter: 12.0" / Height: 3.5"